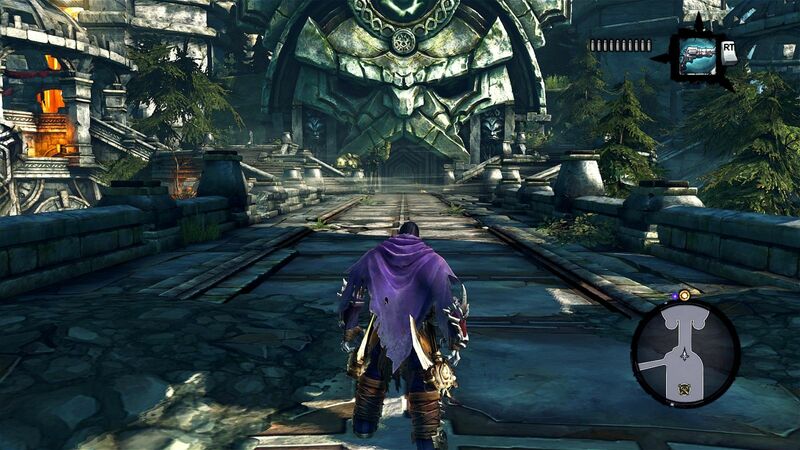 The original Darksiders gave Zelda fans something a little more serious to dig into. Players got to take on the role of War, one of the Four Horsemen of the Apocalypse, who accidentally set it off the end of the world, then went about trying to fix that (fairly significant) mistake. Darksiders II builds on that setting from the point of view of the Horsemen, Death, as he searches for the answers in order to absolve War of what he believes was unjustly accused. Having been re-worked for the PlayStation 4, Death rides once again in order to absolve his brother of his accused crimes. While only looking slightly more polished than it did on Sony’s PlayStation 3, the bulk of the work done can be seen in the smoother animations, load times, and performance of the system as Death explores some pretty striking environments. Returning players might struggle with the new control layout, which, while no better or worse than in the original game, was an unnecessary change. Death’s journey through this world is a perilous one, however, as a master of his trade, Death will use any and all means necessary in order to get the job done from anyone or anything standing within his way. He wields a different take on his trademarked scythe that allows him to carry two weapons and then combine them into one for extra versatility. Additionally, Death can access hammers, maces, gauntlets, and arm blades, which each of these weapons playing a secondary role for when the wickedly curved blade is simply not enough. There is a lot of combat in Darksiders 2, with plenty of nameless minions of corruption scaling up to larger and more terrifying foes that scare even the best warriors. But that being said, as with a Zelda game, that combat is typically secondary to exploration and puzzle solving within a sequence of dungeons that Death explores. Each new location tests out Death’s current abilities or locks off some areas until he can discover a new ability or item. Exploration itself is a joy, however, as Death is a nimble fellow, and he runs up and across walls with great ease; even when the game is locking you out of specific areas you will, at least, feel like you're in control of a powerful warrior. Thankfully, with our protagonist being the Reaper himself, death is not quite an issue so if he should fall down through a platforming section, he will be returned to the last safe location that he stood upon without penalty. Making his return appearance is a demon known as Vulgrim who importantly sells the ability to re-specialize in skills and obtain powerful weapons known as the possessed. Being a master of his craft, it is important for Death to be flexible in his approach as to how to tackle each situation. Possessed weapons, which are extremely rare to find in the field, are also extremely expensive to acquire through this merchant, but these weapons worth more than makes up for their high cost with their ability to level up. Possessed weapons have the ability to devour other gear in order to boost not only their basic statistics, but also add on new abilities that can sometimes more than make up for a lower attacking bonus. 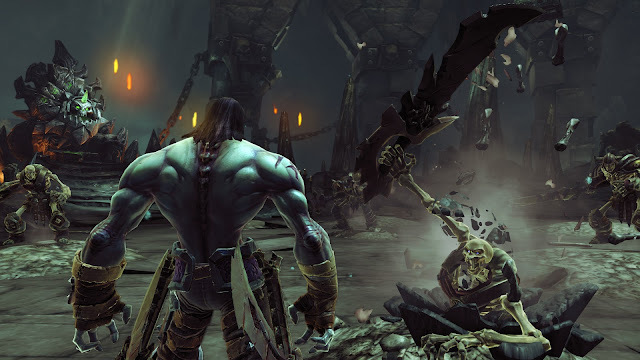 With how great of an experience Darksiders 2 provides as the second entry into the series, sadly there are a few things that can get in the way, especially towards the end of the adventure. The first major issue is that it seems like polish is missing, with lots of glitching forcing to restart from a previous checkpoint or even outright crashing having to reboot the software. 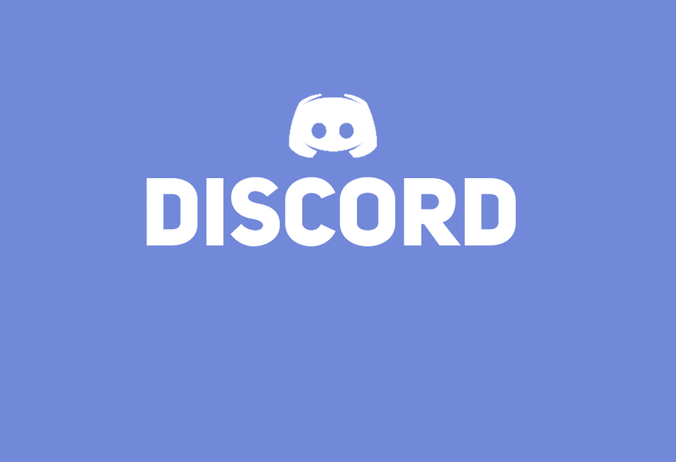 With the quick loading times it could often be passed off as a grumble but when it could occur multiple times within the span of an hour, it can be frustrating, and that should have been fixed by the time the re-release came around. The other thing that becomes irritating is the game's obsession with setting players tasks in threes. We've seen this in games since time immemorial; Find the three crystals to bring out the boss. Find the three generals so that a character will talk to you. Find three stones to power up this golem. It's effective in giving players an easy sense of progression through achieving small, manageable goals regardless of the length of a play session, but only really works over the longer term when it is spaced out properly. In Darksides 2 it happens far too often for its own good, and ruins the game's otherwise smooth flow. 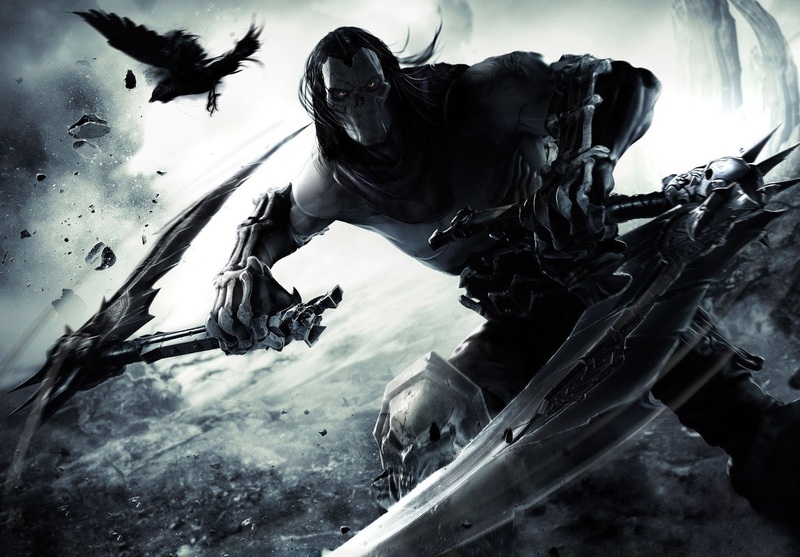 Darksiders 2 for the PlayStation 4 is a great re-release of the second entry into the series, but that's only because the core game is so good. Technical issues that really should have been resolved by now, and a weak concluding act inhibit it, but nonetheless there are few games that have been so effective in aping the Zelda formula than this one. Item Reviewed: Review: Darksiders 2: Deathinitive Edition (Sony PlayStation 4) 9 out of 10 based on 10 ratings. 9 user reviews.